Depression Cherry, the fifth and latest record from indie-rock duo Beach House, is as notable for its swirling synth atmospherics and haunting vocals as for what it lacks: live drums. On their 2012 record, Bloom, the two leaned heavily on bombastic percussion to augment and fortify their typically dreamy sonic aesthetic. The album's muscularity was a counterweight to Victoria Legrand's airy melodies and Alex Scally's shimmering instrumental textures. Freed of percussive cacophony, Depression Cherry is a more impressionistic work that invites listeners to lose themselves in its fragile layers of astral sound. The album is meant to be experienced. It's like the musical equivalent of floating in a bioluminescent bay under a canopy of starlight. Seven Days recently spoke with Legrand by phone from her home in Baltimore. We asked about the new record, balancing art and commerce, and two new interactive features the band recently unveiled on its website. The first is a Setlist Creator that allows fans in each city on the band's upcoming tour to request the songs they'd like to hear. The second is the Single Finder, which chooses tracks from the new record based on individual preferences from earlier Beach House albums. 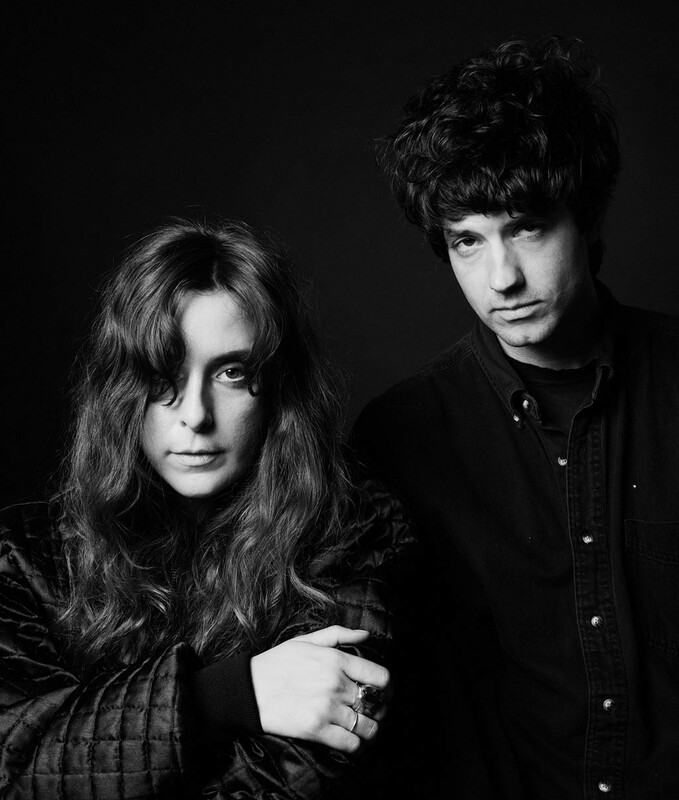 Beach House play the Higher Ground Ballroom in South Burlington on Thursday, August 20. SEVEN DAYS: I thought the personalized Single Finder and the Setlist Creator were clever ways to interact with your fans. Where did those ideas come from? VICTORIA LEGRAND: Alex had the set list generator idea a while ago and we thought it would be a cool way to interact and get to know fans in each city. We're just starting to get the results, and it's been interesting. As for the singles, it's just a way to subvert the idea of set singles. People get to find their own singles. It doesn't have to be this staunch, predictable thing. That's not how we perceive singles. It's just another song, another gateway. So this allows fans to find their own gateway. SD: Has anything surprised you from the Setlist Creator results? SD: I don't imagine you're too worried about having that one hit song — the curse single that you have to play every night? VL: We're lucky. The closest song to that we have is probably "Zebra." Neil Young said that the worst thing that can happen to you is a hit. But we've avoided that. We don't have a traditional hit. Every once in a while there's a song you kind of get tired of playing. But the fact that someone else wants to hear it is more important. You have to remember that, while you do it day in and day out, for someone it's the one night in three years that they'll see you, and that it's very special for someone else. SD: You seem to have struck a balance between navigating commercial success and maintaining your own ideas of artistic integrity. Do you have a specific philosophy that guides you in that? VL: We don't necessarily have a philosophy. But we do have intuition and a natural sense of ourselves in where we're comfortable and where we're not. We've done commercials and had our music on TV shows. But all the decisions were based on whether we felt it was right and if the damage level would be something we could handle, or if it would be irreversible. And that's different for every artist. If we had a mantra, it would probably be that we're always trying to feel like ourselves in whatever we're doing. And that will change over time. But being in tune is key in trying to maintain integrity or whatever truth you feel. SD: It sounds like that's a fluid thing that could change or grow as you do. VL: Growth is something I find to be an interesting subject for any artist. Some people would say their idea of growth is playing in arenas all over the world and being the successor to Bono, or whatever. But another band's idea of success might be that they just get to keep making records and interact[ing] with their fans and pay[ing] rent. There are so many different places to be. And it comes down to one choice at a time. And that's what we've done. SD: Big, dumb rock journalist question: What does "Depression Cherry" mean? VL: What does it mean to you? SD: I was afraid you might say that. VL: [Laughs] I could describe what it means to me, but even for me it keeps changing. I think the title is unique. It's somewhat playful and somewhat confrontational. Those two words just came to me side by side. And I think when that happens, when those little lightning bolts strike, you can't ask "why?" You accept it and see what happens in time. And those words just wanted to be the title of the album. As far as what it means, I think that's our gift to people who listen. I've heard many different interpretations of it. I think you should give yourself the freedom to decide what it means to you and not have me ruin it for you. SD: [Laughs] Sure. Well, to me, it evokes a sense of sweet melancholy. Nothing specific, but kind of a nebulous emotion. SD: Is that a technical term? VL: [Laughs] I'm drawn to words and how they come together. And I think words can be powerful. They can be powerful in meaning, or visually if you're a graphic designer. They can be powerful sonically. They can be powerful in the abstract. But also, it's not like we name the record something completely absurd. It might seem absurd, but it's not. It's not a random title. It has a deep connection to the record, otherwise it wouldn't be the title. SD: I don't know if this album is stripped down, exactly, but the vocal melodies seem more prominent than on your most recent records. Am I imagining that? VL: It's not that it's stripped down. There are still many layers of guitar and organ and keyboard. But the feeling you're describing is probably due to the natural evolution of our music. Every album changes in terms of song structure and arrangement. With Bloom, we reached a point where we had incorporated live drums in the writing process. So there was an energy to Bloom that we hadn't done before. Even on Teen Dream , drums were more punctuation. And on Devotion , live drums weren't all over every song. That really happened on Bloom, where they had a real force. But after touring Bloom, we realized how much of a presence the drums were and we decided to try to not have as much of that presence in our lives and in our writing. So it's not that these songs are more simple. It's a deceptive simplicity. But we don't have as many crashing cymbals and drums. And when you don't have that presence, the songs open up. The arrangements become more spatial and you notice subtle changes more viscerally. And that happens vocally, too. So the most intentional thing we did was removing the amount of live drums. So a little less is a little more. The original print version of this article was headlined "Less Is More"